1671 Insulae Americanae in Oceano Septentrionali... - the Vintage Map Shop, Inc. 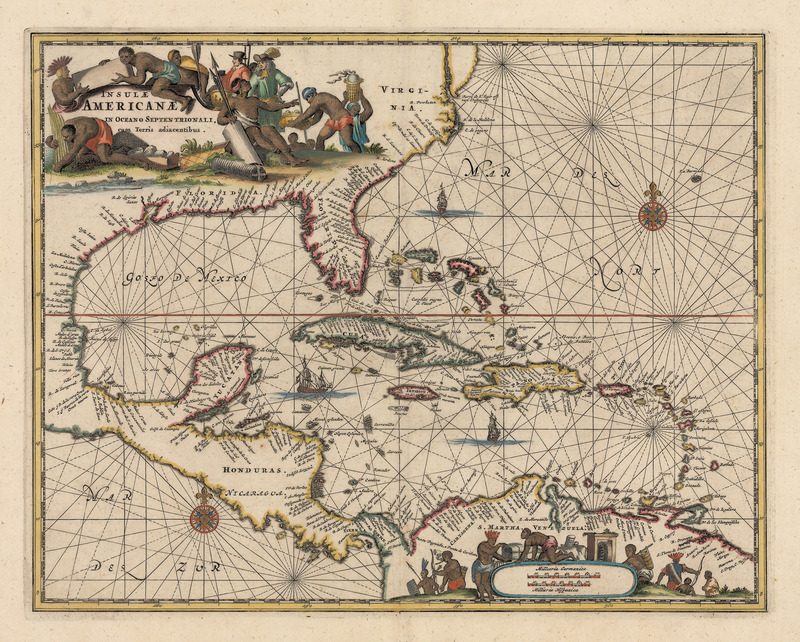 This is a finely detailed Vintage Map Shop reproduction of a sea chart of the Caribbean from the late 17th century. The map displays numerous sea ports and towns from Virginia in the north to Mexico Honduras the northern coast of South America and all the islands in between. A decorative title cartouche featuring natives and explorers adorns the top let corner of the map while a similar vignette is used to decorate two scales of distance (German and Spanish) in the lower right corner. Compass roses a sailing ships accent the sea throughout the map.